Korean eyewear label Gentle Monster on Tuesday launched a flagship store on Alibaba Group’s Tmall, as well as a storefront on the company’s dedicated site for luxury and premium brands, Tmall Luxury Pavilion. To mark its grand opening, Gentle Monster launched limited-edition sunglasses that were inspired by Chinese actor and singer Li Yifeng. Gentle Monster exclusively debuted the first 1,987 pairs on Tmall – Li’s birth year – launching pre-sales two weeks ahead of its own site and offline storefronts. They sold out in 24 hours. As part of the perks of the platform’s loyalty program, “Pavilion Club,” 10 consumers that bought the 1,987 shades will receive VIP tickets to visit Gentle Monster’s “Dream Visit” exhibition, which features interactive art installations themed around Li’s childhood memories, April 9 in Beijing – three days ahead of its official opening. Chinese celebrity Li Yifeng and Hankook Kim, the co-founder and chief executive of Gentle Monster, pose together for a photo at the eyewear brand’s Tmall Super Brand Day event. “China has the most-developed e-commerce market in the world. 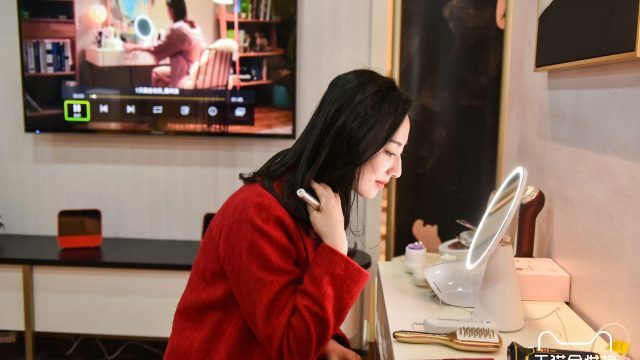 And Tmall is the largest among all the e-commerce platforms in the country, with a very mature system, solid experience and a professional team, making them a second-to-none partner for us,” said Hankook Kim, co-founder and chief executive of Gentle Monster. The 1,987 Tmall consumers that purchased the brand’s first batch of limited-edition shades also received an exclusive carry bag, a special-edition “Gentle Monster X Li Yifeng” sunglasses pouch and VIP tickets to see the brand’s “Dream Visit“ exhibition. Kim and co-founder Jay Oh launched Gentle Monster in 2011 with an eye toward the high-end market, where the company stood out for its avant-garde designs and artistic experimentation. Today, the sunglass brand owns 12 physical boutiques and 19 flagship stores around the world, including in the U.S., U.K. and Singapore, with each flagship’s interior uniquely designed with art installations and multisensorial experiences, resembling contemporary art exhibits. 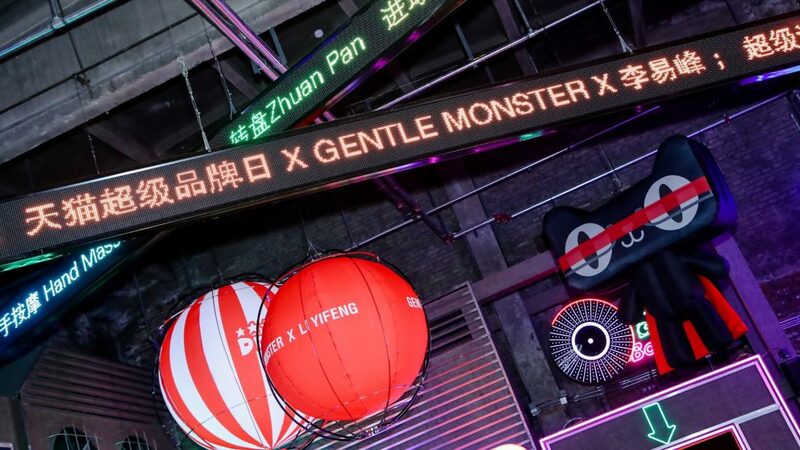 Gentle Monster is the 100th brand to hold an online grand opening event on Tmall Luxury Pavilion. To celebrate the milestone, the Pavilion teamed up with fashion magazine Elle China on an “LP100 Editors’ Pick” special feature, where Elle’s editors selected 100 of their favorite spring-summer items from the Pavilion. 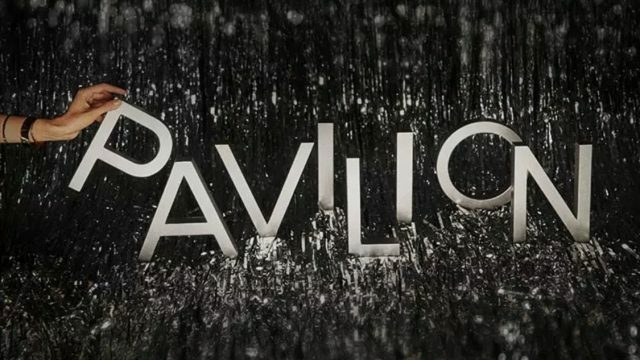 “Alibaba’s rich ecosystem allows us to help brands efficiently reach their targeted luxury clients, as well as attract new consumers,” said Lili Chen, general manager of the Pavilion. 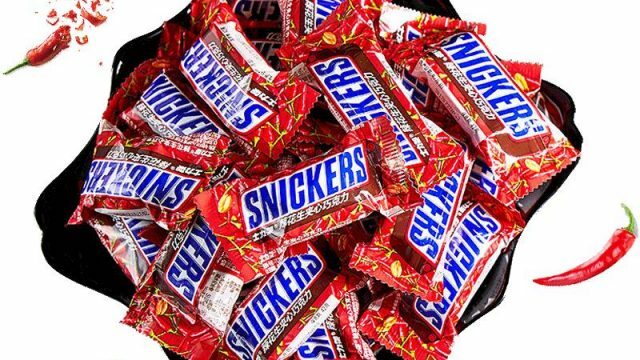 “Millennials are our key growth engine, especially the ‘Post-90s,’ who represent more than 50% of our buyers. 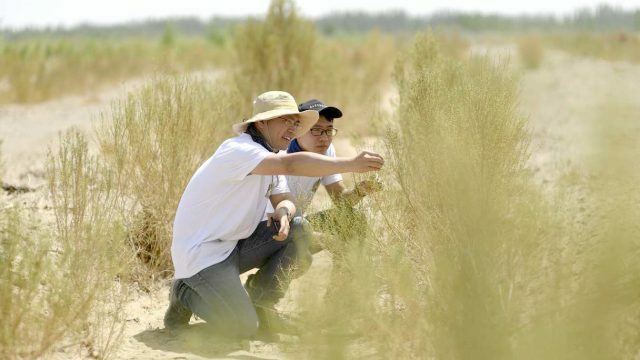 They grew up with access to the internet and are highly connected to digital technologies. For them, e-commerce is not just another option, but a part of their lifestyles,” she added. 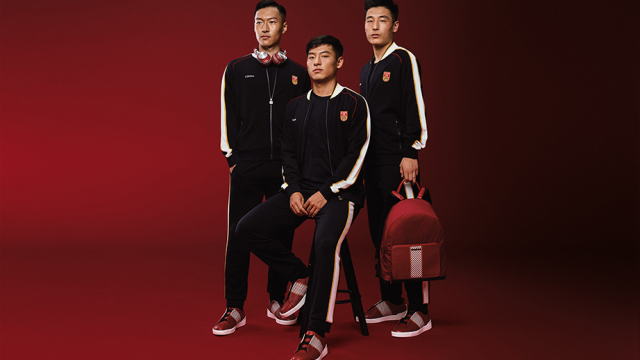 China’s Millennial and Generation Z shoppers are on track to make up 46% of purchases in the global personal luxury goods market by 2025, up from 32% in 2017, according to a November report from consulting firm Bain & Co. Online sales channels are becoming more critical than ever for luxury brands, with official sites and e-commerce platforms expected to account for 25% of the market’s value in 2025, up from the current 10%, Bain’s research showed. 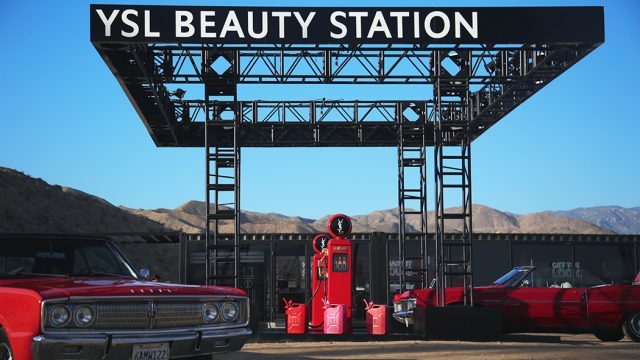 Launched in 2017, Tmall Luxury Pavilion now offers more than 100 brands, ranging from apparel and beauty items to watches and luxury cars, including Alexander McQueen, Bottega Veneta, Valentino, Burberry, Tod’s, Versace, Stella McCartney, Moschino, Giuseppe Zanotti, MCM, La Mer, Maserati, LVMH-owned Rimowa, Guerlain, Givenchy, Tag Heuer and Zenith. 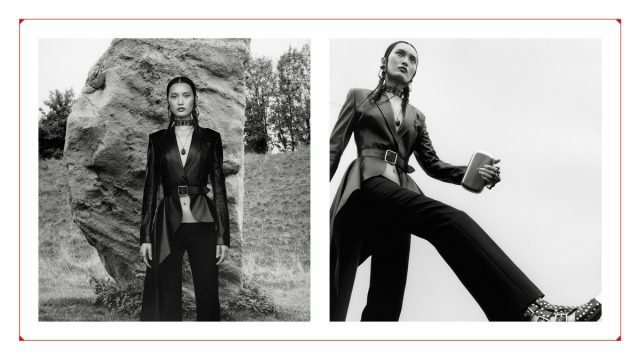 As Alibaba extends its New Retail push into the luxury space, the Pavilion has attracted a growing number of forward-looking brands aiming to reinvent shopping experiences for the Chinese consumer, such as Swiss luxury powerhouse Richemont. 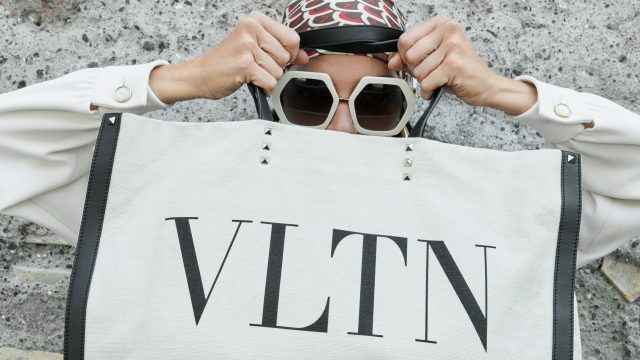 Meanwhile, it is increasingly seen as a prime destination to create buzz around their new product launches, including Maison Valentino, which exclusively debuted two limited-edition Valentino Garavani Candystud bags on its Pavilion store last April. 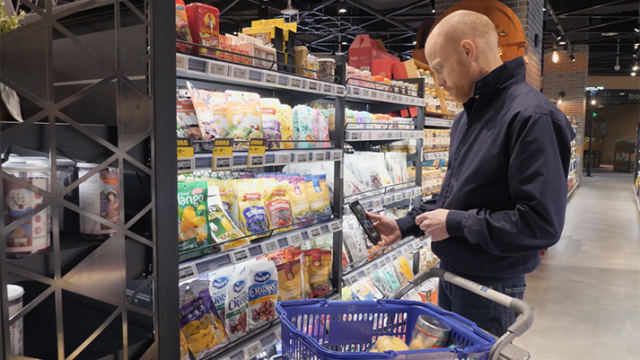 For the launch, the Italian fashion brand also tapped Alibaba’s technologies to launch a 3D virtual shop that mirrors a brick-and-mortar pop-up store it opened in Beijing. Kering-owned Bottega Veneta also exclusively debuted its blue-colored BV Luna Bag in Nappa on the site, as well as became one of the first brands to opt into the Pavilion’s new “Maison” store format that enhances the brand experience for luxury shoppers. To enhance its services for luxury brands, Alibaba recently set up a new Tmall Luxury Division to oversee luxury strategies across the group, including Tmall Luxury Pavilion and Mei.com, Alibaba’s online outlet for off-season luxury and designer goods.